Prescribed burning is a long standing practice to maintain the ecosystem in the Flint Hills region, which extends throughout much of eastern Kansas, and contains 7 million acres of rangeland and the largest remaining area of unplowed tallgrass prairie in North America. Approximately one third of the rangeland are burned each year, mostly in April. Smoke from the fires causes elevated O3 in ambient air, contributing to O3 exceedances, and have affected several states downwind of Kansas. Clear relationship between seasonal burned area and ground O3 observations has been established. 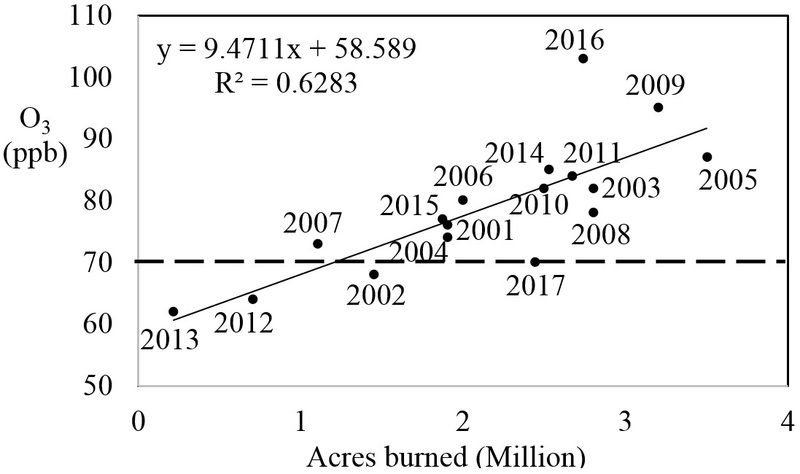 The more acres burned in a year, the higher O3 level was observed. Generally, for increase of every one million acres burned, the highest 8-hour O3 increased around 9 ppb. 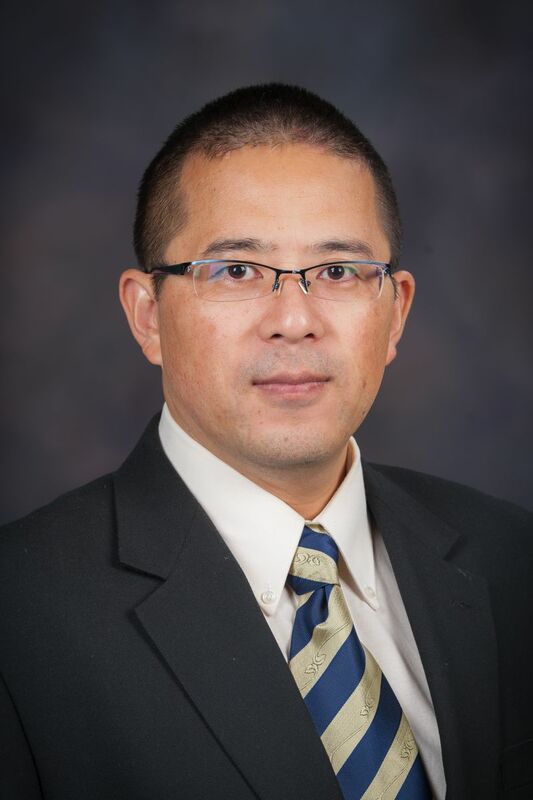 The National Ambient Air Quality Standards (NAAQS) are evolving as new standards are developed for ozone and fine particulates. In 2006, the fine particulate 24-hour PM2.5 (Particulate matter that less than 2.5 µm in equivalent aerodynamic diameter) standard was reduced from 65 to 35 μg/m3. In 2015, the 8-hour ozone standard was reduced from 75 to 70 ppb. The continued lowering of ozone and fine particulate standards, together with the Regional Haze Regulations are demanding changes in air quality management. In nonattainment areas where air quality violates the NAAQS (e.g. in Kansas City), control measures must be implemented, which could add significant regulatory and economic burdens. Air quality regulators are under pressure to quantify all sources that are contributing to poor air quality at a time of ever-tightening standards. As most other anthropogenic sources are being effectively controlled, fire emissions have been left as a major source of air pollution in the United States. Prescribed pasture burning is not going to be allowed the relative inattention of the past and will be accounted for as carefully as other major pollution sources. 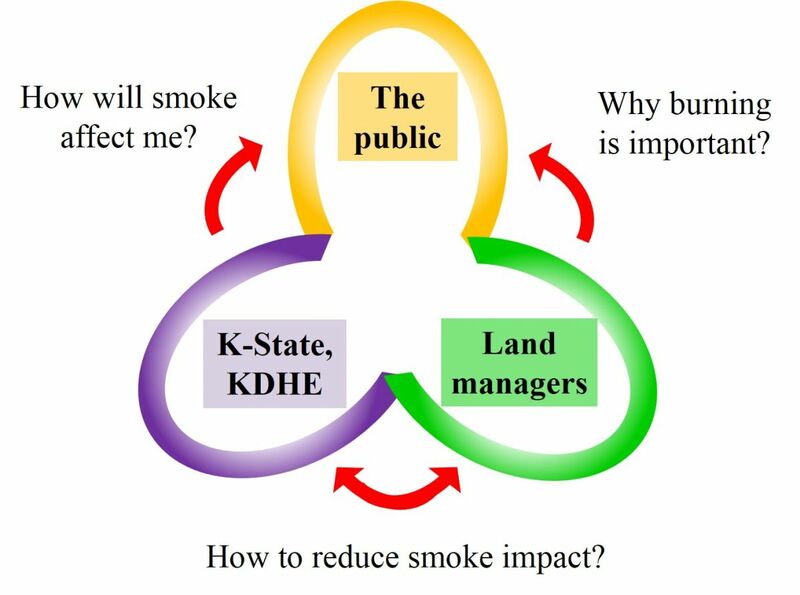 Prescribed pasture burning needs to negotiate and compete for limited and decreasing allowable impacts on air quality. The interagency linkages between land managers and the air quality regulatory community are growing. Managers of future prescribed pasture burning will need to utilize all available information to reduce the smoke hazard.